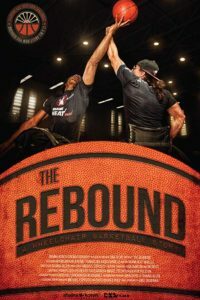 It’s all about how you rebound after you go through adversity and today we talk with the director (Shaina Allen) and producer (Mike Esposito) of the award winning independent film documentary The Rebound. What is The Rebound and why was The Rebound made. We talk adaptive sports, specifically basketball. Why it’s important to share your story. How to take begin to share your story. The future of Shaina Allen and Mike Esposito within the adaptive community by continuing to make documentaries about notable athletes and teams. The Rebound is an award-winning independent documentary (76 min) following the underdog journey of the Miami Heat Wheels wheelchair basketball team in their quest for their first NWBA National Championship. The cameras don’t stop when the players leave the court: the film follows the athletes through daily life with a disability as they reach for new heights. Find The Rebound using the website and social media links below. Order The Rebound and enter “LivingAdaptive” in the promo code box for 20 percent off. Order some of the gear we discuss in the interview at, https://www.reboundthefilm.com/shop/. Shaina Allen is an award-winning director, DP and editor focused on telling impactful stories with creativity and purpose. Her experience includes a broad range of work in documentary and cinematic storytelling, editing for sports and news broadcasting, creative content production, and award-winning lifestyle cinematography. She is a graduate of James Madison's University's School of Media Arts and Design (GO DUKES! ), currently Creative Director and Co-founder of Shaina Koren Cinematography. An award-winning producer and cinematographer with a background in marketing and digital media focused on creating effective and impactful media. Graduate of James Madison University’s College of Business, Mike helped in-house growing two startups, and worked on CBSSports.com's marketing team on campaigns like the record-breaking live stream of Super Bowl XLVII. Co-founder of Shaina Koren Cinematography and lead Producer of THE REBOUND.